There have been few major league baseball players who have been both beloved and hated as much as Alex Rodriguez. 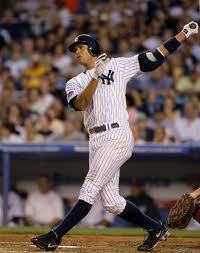 Known as A-Rod to most people, he has been a bone of contention among fans of the teams he has played on, at the same time he continues to rack up impressive numbers that have easily made him one of the greats in contemporary baseball. Rodriguez first came to prominence when playing for the Seattle Mariners back in 1996. During that year he also played shortstop and racked up impressive numbers in the field. He ended up finishing that season leading the American League with a batting average of .358. He also notched 36 home runs and drove in 123 runs. From that point forward, the future looked bright for A-Rod. Then controversy hit when he began to be traded from team to team, before finally ending up on the Yankees. He was traded to the Texas Rangers in the year 2001. He was offered a record contract for the time. It was a 10-year deal worth a staggering $252 million. The next professional baseball player was a full $63 million behind A-Rod with that deal. Many thought that this was a wildly inflated salary for a player that had yet to truly prove he was worth that kind of money. Eventually A-Rod ended up on the Yankees. This was back when the Yankees were also courting controversy by fans who said they were just buying their way to the World Series. However, by this time, A-Rod had gained a reputation as a "Cooler." It has been stated by many fans and experts in the game of baseball that even the hottest teams suddenly grow cold when Alex Rodriguez joins. That controversy has continued as he has played with the Yankees, despite the team routinely making it into the post-season and making several trips to the Series since he joined. He has also courted ridicule from teammates who chafed at the demands the slugger has put on the teams. Despite this, A-Rod continues to rack up the numbers. The signs of his continued greatness continued in the Spring Break for the Yankees in 2012. So far, with the regular season under way, he continues to contribute. He has hit five home runs so far in 2012. He also has 14 RBI and a batting average of .286. He long ago crossed the 500-home run mark, and he continues to add to that tally. 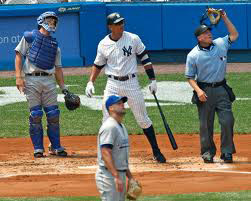 On May 6, in a game against Kansas City, A-Rod went yard and racked up his 634th overall career home run and helped the Yankees earn a 10-4 win. Despite his output, the Yankees continue to struggle overall as a team. Whether this is due to A-Rod's "cooling" effect or just bad fortune is for the fans to decide. The team is currently in third place in their division. They are over .500 so far for the year, but they are behind the Tampa Bay Rays, who are in second place, and the surprising play of the Baltimore Orioles who currently hold the first place spot.